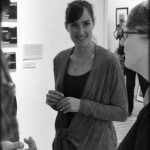 Last week I attended a forum for New Community Visions for the Arts hosted by Americans for the Arts. 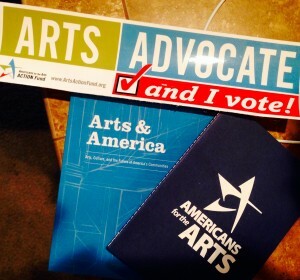 Those who listen to National Public Radio might recognize Americans for the Arts as donors mentioned between segments. From my assigned reading for the event I learned this organization is over fifty years old and was instrumental in the formation of the National Endowment for the Arts. 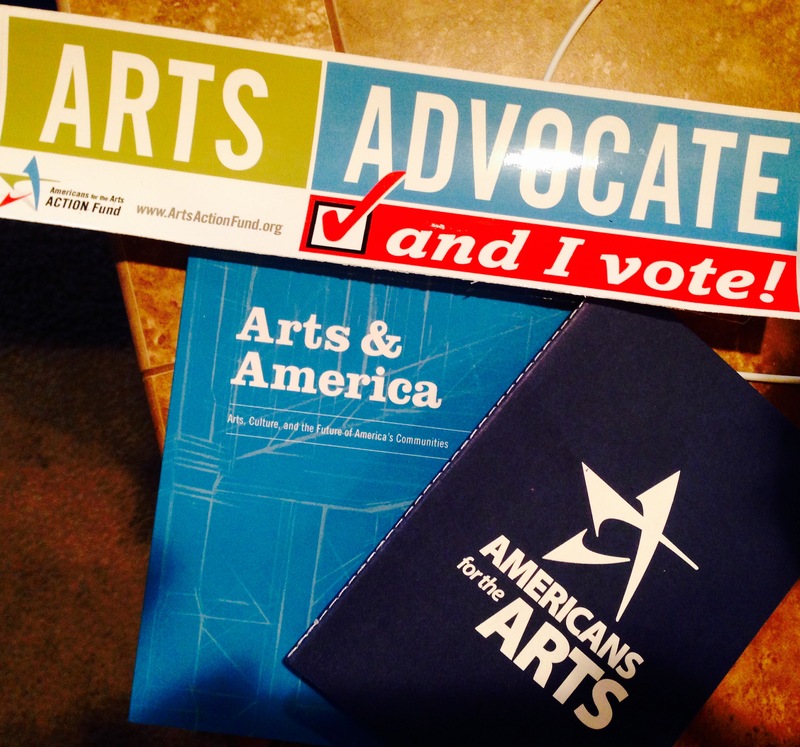 They are essential in arts advocacy at a regional and national level- their political action committee has 300,000 members and growing. I participated in one of eight forums held around the country. The events are sort of all-day think tanks with the mission of generating ideas for how arts can grow and develop in our communities over the next decade and more. There were foci on arts and infrastructure, arts and health & wellness, arts in education, and arts and rehabilitation for those who are incarcerated. The enthusiasm level was high and the conversations never stopped. Attending were executive directors for programs as diverse as prison arts, community theater and even Burning Man. Also participating were many city employees from communities from all over the West Coast. A Public Arts administrator from a mid-sized California city worked with me on a break out session, coming up with ways to improve the quality of arts in hospitals. These city employees were highly professional and inspired, making meaningful contributions to their communities. What was made crystal clear during these conversations was how the arts can be a lightning rod for healing, prosperity, and social justice. The arts are the creative catalyst that can bring together entire communities, and inspire individuals to find their purposes. What all the data shows us: communities that engage with the arts in purposeful and organized ways will enjoy successes.